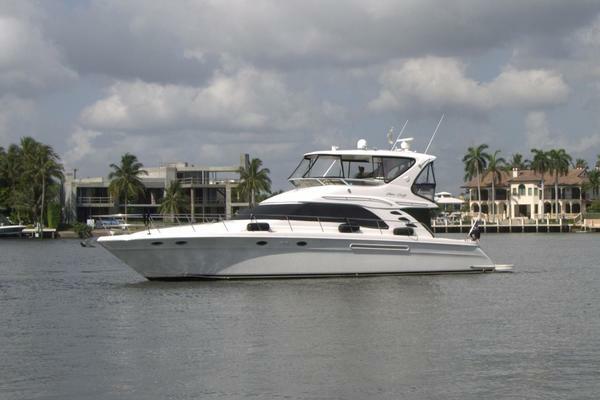 "Brayton Point" is a meticulously maintained freshwater 2013 54' Sea Ray Sundancer. She is offered for sale by the 2nd owner. She is powered by twin Cummins 715 QSM-11's coupled with the Integrated Cummins Zeus joy stick control for easy handling around marinas along with increased performance over shaft driven 540’s. Some of her upgrades include a factory installed hydraulic swim platform, a Teak Cockpit Sole, upgraded cockpit TV, newer salon layout featuring a larger salon TV, Custom bow and hand rails, KVH Sat TV, and a full array of Raymarine Electronics including FLIR. 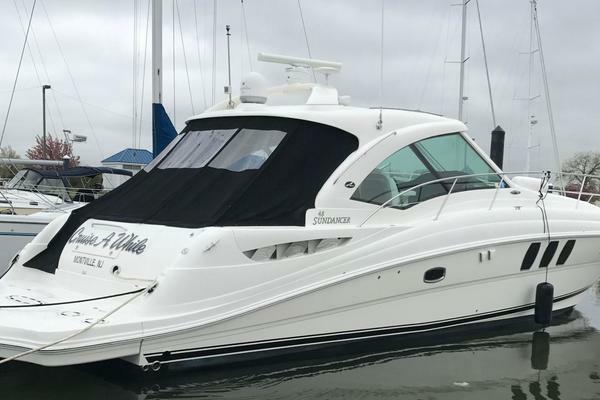 United Yacht Sales New Jersey would love to guide you through a personal showing of this 54' Sea Ray 540 Sundancer 2013. This yacht for sale is located in Lake Ozark, Missouri and priced at $899,000. For a showing please contact us by filling out the form on this page and we will get back to you shortly!